As a loyalty marketer, you may not stand around the water cooler and talk about FASB, U.S. GAAP, or the differences between deferred revenue and incremental cost as accounting methods. You may not even be aware of how your loyalty program handles financial liability. 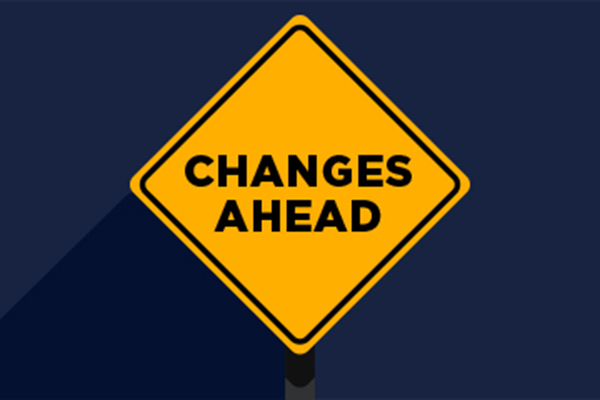 But, it’s time to start getting up to speed on this, because changes are coming to the accounting guidelines that may affect your loyalty program and go into effect as early as December 2018. Let’s take a look at what the changes are and what programs may be affected. Why are the guidelines changing? The Financial Accounting Standards Board, or FASB, wants to establish a revenue recognition model for all contracts with customers in order to create more consistencies across businesses and industries. More specifically, they want to standardize how things are done, because right now, there isn’t any universal, applicable guidance for loyalty programs. Because of this, companies have adopted several ways to account for the liability associated with their loyalty programs. What types of programs will be affected? Ultimately, it will be up to your accounting teams and auditors to make a decision on whether or not your program is impacted and how to address the impact. However, it is generally expected that programs will be affected if they award a currency to users for purchasing the company’s products and they allow users to redeem that currency for a discount, free product or other incentive from the company that they would not otherwise have access to (i.e. they provide a “material right”). So, does your loyalty program’s currency provide a material right? If the answer is yes, your program is likely affected by the new guidelines and will need to account for point liability using the deferred revenue method. Read more on that in the next section below. If the answer is no, your accounting team should still plan to review the new guidelines in detail. For points that don’t provide a material right, the new guidelines specify that the program may need to account for point liability using the incremental cost method. Most likely, this won’t be a change for you, but a review of the current practices and new guidelines is still recommended. What will need to change for affected programs? In some cases, no changes will be needed. In others, a new accounting practice will need to be implemented. For programs with currency that provides a material right, this accounting practice is called the deferred revenue method. Essentially, this method requires revenue recognition associated with the currency awarded at the time of purchase to be deferred until the points are redeemed or expired. If adopting this accounting method isn’t reasonable, the program itself could be modified to remove affected aspects. This could include implementing or modifying a point expiration policy, modifying the reward structure, or modifying the earn structure. The decision on how exactly to proceed should be discussed with your loyalty team and other stakeholders, accounting team and actuary, and loyalty consultants or providers. It would be a good idea to download our Accounting Guide to New Revenue Recognition whitepaper, which provides more background on the changes, the accounting methods for affected programs, and resources to learn more. Also, make sure to share this information with your accounting team as soon as possible. Ultimately, this is a good change that will help ensure consistent financial reporting for brands with loyalty programs. Remember, this is an ongoing process and guidance may be refined as new questions arise. We recommend that you work closely with your accounting team to make sure potential changes are implemented smoothly. For more details on this topic, download our free whitepaper.